In what appears to be an act against his will, Snapchat CEO Evan Spiegel has uploaded a new video explaining how Snapchat works to help parents understand the latest teen craze. We’re not parents ourselves, but we still have questions. Not so much about how Snapchat works but why this video exists in its current state. The video – uploaded on June 16, 2015 in all its 240p glory – is horribly edited and doesn’t even use a tripod to stabilize the shot. 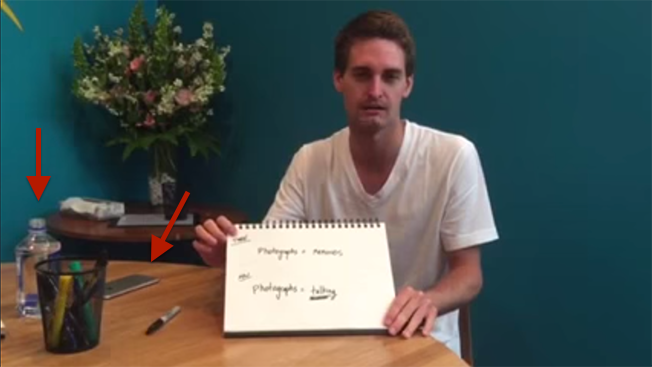 Judging by what looks like be an iPhone 6 next to Spiegel, we do believe this was filmed during the year 2014 or later. Snapchat just raised $537.6 million last month. What the heck happened? Spiegel also took about 25 times longer to explain the app’s premise than the average lifespan of an actual Snapchat. Evan, what are you doing? You created a product that capitalizes on our short attention span! You should know that four minutes is too long to watch such a low-res production. Not on fleek. Not even a little. Let’s investigate further. There is an open bottle of water on his desk. He does seem kind of sleepy in the video – maybe he’s tired from practicing this speech? Or was he drugged? Most importantly, Evan, are you okay? Why is the room so dark? Where’s Ghostface Chillah? I’m not the first to admit that millennials are getting a bad rep, but dangit, this is not helping. Why are you doing this? 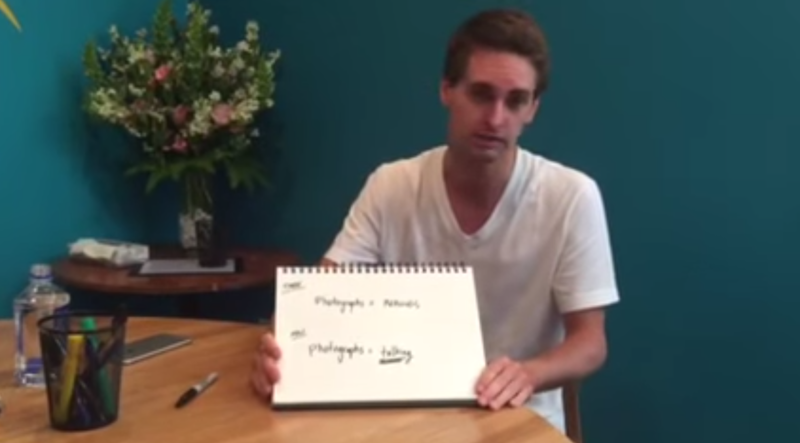 If Evan Spiegel is indeed being held hostage somewhere and forced to film such a video, let’s all #PrayForEvan.